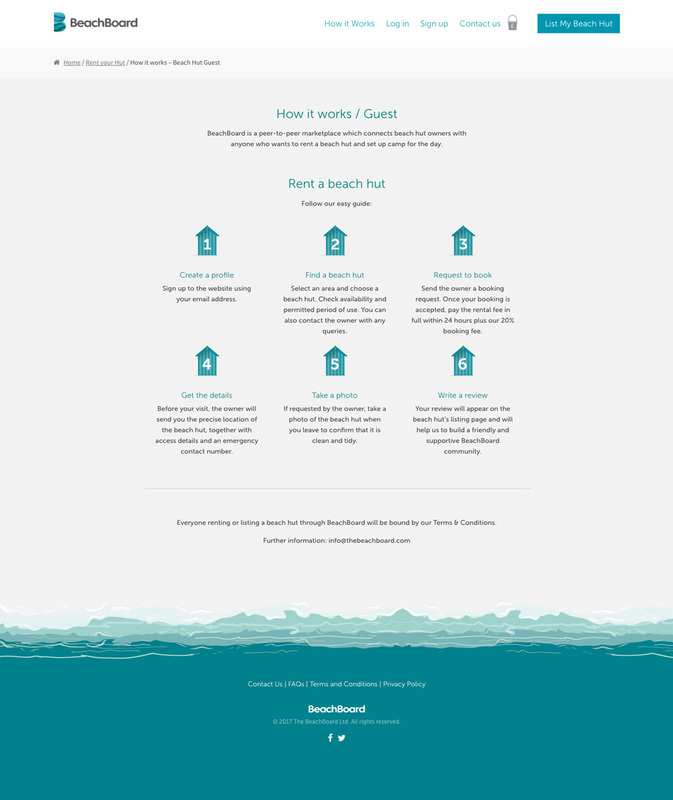 BeachBoard is a shared marketplace for beach hut owners to rent out their beach hut to paying guests. 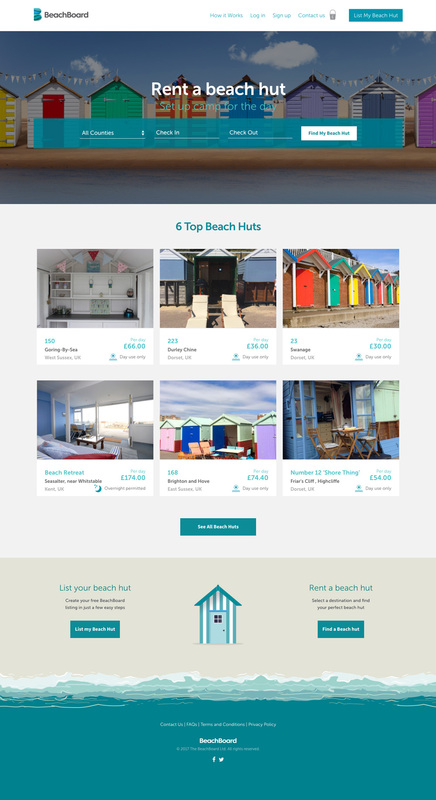 Point and pixel were commissioned to create the BeachBoard brand logo, printed and digital marketing material and the ‘marketplace’ website on which owners can list their hut setting the daily rate and availability. Guests can then book a beach hut and set up camp for the day.